I’ve written a lot lately about how I’m not hating having only a few connections in Albany as much as I thought I would. This weekend I learned that it’s not always so awesome. To make a long story short, I had to use the phrase “don’t freak out, I’m fine” much too often this weekend over the phone with long-distance friends. Why? I was in the hospital. Don’t freak out, I’m fine. 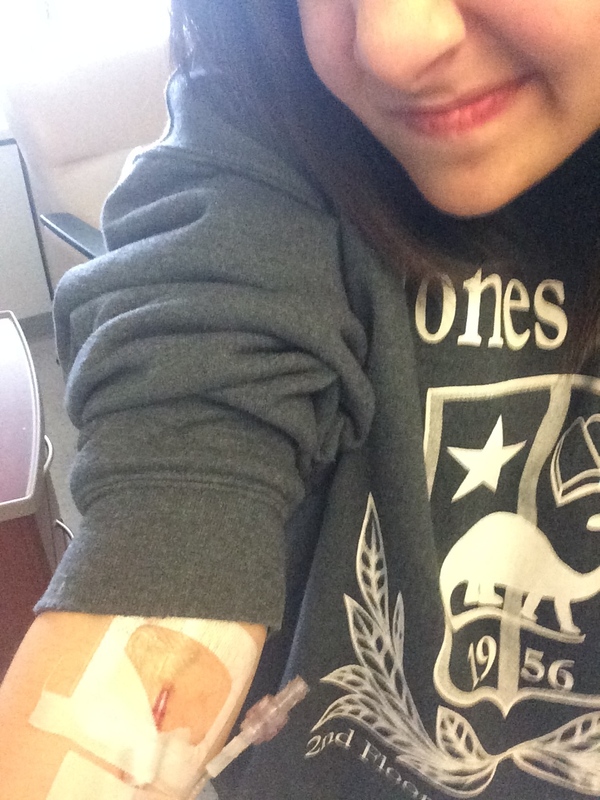 I was admitted to the hospital because I had a small seizure (don’t freak out, I’m fine! ), and fortunately, was with someone when it happened. I’m lucky enough that he was willing to stay in the hospital and keep me company as long as he could, and another friend from home happened to be in Albany for the weekend. I hardly spent time alone, but had a TV and electronic bed to keep me entertained. Thinking about it, I only have two close connections in Albany (aside from my friend who happened to be here this weekend) if there was a true emergency. I had my work connections too, but who wants to go sit with the new girl in a hospital? Back in Rochester, I had some friends to rely on, and some that were over a half an hour away, plus my family in close distance if anything did happen. I didn’t realize how comforting that is until this weekend. I’m lucky to have even a few close friends here for their support. As I’ve said in other posts, friendship takes time. I have yet to attempt to expand my social circle, and it’s clear that I need to – if not for emergencies, but for my happiness overall! I’ve heard of so many people who simply pick up and move to a new place – even a new country, without even flinching. It’s a lot to consider. I’ve only moved a few hours away and even this weekend shook me a little. In the end, though, it worked out ok, I’m fine, and I seriously owe my friends some awesome thank you notes. Ahhhhh….I’m glad to hear that you’re okay. Did they say why? I bet you need to eat more. PM me your new address and I’ll send you a junk-filled care package. I have “Vasovagal Synope” – and I get set off by being squeamish. So not a cool ending to that story.